KYIV. March 24 (Interfax-Ukraine) – The Cabinet of Ministers of Ukraine has exempted operations with ferrous and non-ferrous scrap metal, in particular imports, from value added tax (VAT) until January 1, 2019. The corresponding government resolution dated March 22, 2017 amends another resolution No. 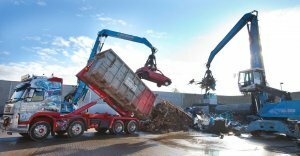 15 of January 12, 2011, which defines the list of ferrous and non-ferrous metal scrap and waste, operations with which are not subject to VAT. The decision was made in pursuance of the law of Ukraine on amendments to the Tax Code of Ukraine regarding the improvement of the investment climate in Ukraine (No. 1797-VIII), which, inter alia, provides for amendments to the Tax Code of Ukraine with regard to the extension until January 1, 2019 of exemption of operations with ferrous and non-ferrous metal scrap from VAT. KYIV. March 24 (Interfax-Ukraine) – Public joint-stock company Ivano-Frankivskcement (Yamnytsia, Ivano-Frankivsk region) saw UAH 559 million of net profit in 2016 compared to UAH 117.5 million of net loss in 2015. According to a company report on holding the general meeting of shareholders scheduled for April 25, its assets grew by 40.8%, to UAH 3.373 billion, and undistributed profit rose by 8.4 times, to UAH 635 million. Total bills receivable grew by 33.5%, to UAH 166.575 million. Current liabilities grew by 60.6%, to UAH 485.7 million and noncurrent liabilities – by 15.2%, to UAH 1.779 billion. Ivano-Frankivskcement was created in 1999 through the reorganization of Ivano-Frankivsk cement and a slate plant founded on the basis of a cement plant in 1964. The company is engaged in the production of cement, gypsum, etc. It exports its produce to Romania, Moldova and Belarus. As of Q4, 2014, the key shareholder was CemIn West SA (96.6125%, Geneva, Switzerland). According to the unified register of companies, the shareholders in the company are CemIn West (96.6%), Ivano-Frankivskcement-eternit LLC (0.0532%) and 1,456 individuals. The ultimate beneficiary is Mykola Kruts. KYIV. 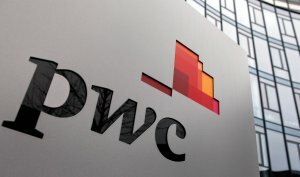 March 24 (Interfax-Ukraine) – PricewaterhouseCoopers (PwC) international audit company has announced its decision to formally integrate the PwC Ukrainian practice with the CEE Northern Cluster territories of Poland, the Baltics and Belarus, PwC has said in a press release. According to the document, the CEE Assurance Leader Richard Pollard has been appointed to also serve as the PwC Ukraine Country Managing Partner. The current PwC Ukraine Country Managing Partner Oleg Tymkiv will be appointed to a new leadership role in the Northern Cluster. He will be responsible for strategic projects including important new inward investors to the region. As reported, early 2017 the NBU claimed PricewaterhouseCoopers (PwC) office in Ukraine had provided wrong appraisal of fair value PrivatBank collateral. The NBU expected that the Ukrainian office of PwC international audit company after revealing these facts would be closed. KYIV. March 24 (Interfax-Ukraine) – TechNova LLC, managing Darnytsia, Chernihiv, Cherkasy and Sumy combined heat and power plants (CHPPs) have contracted the delivery of 225,000 tonnes of anthracite from South Africa at the price of $96.60 per tonne (taking into account delivery and reloading). Director General of TechNova Firm LLC and acting Director of Chernihiv CHPP Oleksiy Scherbyna, Director General of Euro-Reconstruction LLC (Darnytsia CHPP) Viacheslav Selivanov and Director of Sumyteploenergy (Sumy CHPP) Dmytro Vasiunin gave the information at a meeting of the National Commission for Energy, Housing and Utilities Services Regulation (NCER). Chernihiv CHPP contracted 75,000 tonnes at the price of $96.60 ($91 plus 5.6% for reloading). The plant is holding talks to buy 225,000 tonnes more. The first ship with coal is to arrive to Ukraine late May, and three more ships – in Q3 and Q4 2017. The contractor is international trade VITOL. The annual need of Chernihiv CHPP is 450,000 tonnes of coal. Darnytsia CHPP also contracted 75,000 tonnes at the same price and is holding talks to buy 225,000 tonnes more. Its annual need is 440,000 tonnes of coal. 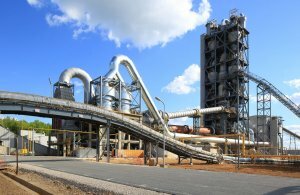 Sumy CHPP almost finished talks to supply 75,000 tonnes of anthracite. Its annual need is 86,000 tonnes. The company bought 5,000 tonnes of anthracite from PJSC Centrenergo to finish the current heating season. The representatives of CHPPs said that the main problem for them today is the advance payment for coal. 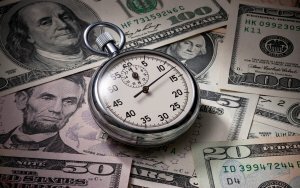 The funds are frozen for the period of up to three months. The tariffs increased from April 1 do not cover expenses on imports of anthracite. KYIV. March 23 (Interfax-Ukraine) – Piraeus Bank (Kyiv) and public joint-stock company Concern Khlibprom (Lviv), a large bread producer in Ukraine, in March 2017 signed a credit agreement with the financing limit of UAH 100 million. “The project confirms the bank’s desire to actively participate in the development of the Ukrainian economy in general and the country’s western region in particular. Plans of the bank to increase its credit portfolio by 120% also are evidence of this,” the bank said in a press release, citing Director for western region Marian Shabatura. Khlibprom Concern is one of the largest bread producers in Ukraine. Its eight production units are located in Lviv and Vinnytsia regions. The company owns the Khlibna Khata, Namynaiko, Vinnytsiakhlib, Bandinelli, Liubliana and Khlib po Lvivsky brands. In 2016, the concern made 73,000 tonnes of bread and bread products. Piraeus Bank ICB was founded in 1994. On January 1, 2017 the largest shareholder of the bank with a stake of 99.9918% was Piraeus Bank S.A. (Greece). Piraeus Bank ICB ranked 35th among 100 operating banks in the country on October 1, 2016 by total assets (UAH 2.948 billion), according to the National Bank of Ukraine. KYIV. 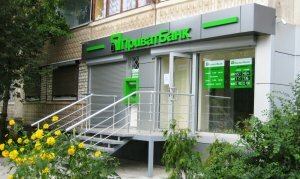 March 23 (Interfax-Ukraine) – State-run PrivatBank plans to expand cooperation with the government in providing some social services on the basis of Privat24 platform, PrivatBank Head Oleksandr Shlapak has said. “PrivatBank today is a leader of so-called ‘digital banking.’ For many years we have been providing services that no country provides. We are trying to convince the government that state-run banks are able and must be agents of the state in providing public services, crediting and many state-sustained programs,” he said at the presentation of Privat.Share in Kyiv on March 21. The head of the bank said that some services have been realized, including via the utility services cabinet using which anyone who works with the Privat24 application can pay for any utility services. PrivatBank also presented a first electronic student ticket and quickly received requests from many educational institutions asking to implement the similar initiative in their institutions. Shlapak said that the bank is holding talks with Lviv City Administration on the creation of the first digital card of city residents and announced the subsidy service. “Information bridges between PrivatBank, Social Policy Ministry and Pension Fund are required to launch this service [subsidies]. The negotiations are being held. I have submitted the relevant proposal to the prime minister. I am sure that exchange of this information would help the government to provide subsidies quicker and not to provide them to those who are not to receive them,” he said. Ukrainian Prime Minister Volodymyr Groysman who visited the presentation said that the government is interested in expanding cooperation with the banks in the implementation of state-sustained programs. “Today we saw the products the bank is offering to its clients. I can say that they are innovative, starting from remote social services and finishing all other forms of payment for any products, including the PrivatMarket platform for holding public tenders. This implies convenient opportunities for Ukrainian citizens. I am sure that the provision of these services would give new opportunities for development of PrivatBank. I am pleased that after the nationalization PrivatBank remains a leader,” the prime minister said.